Have you been tired of the environment of your office? If you don't tend to change your old office furniture, you could taste to add something new in the office. For example, Office Landscaping is a nice idea. With these trees or other plant around your office table, the air can be fresher and they can help you to reduce hazards from radiation. But how shall we raise these plants? Here, some tips can help us to solve this problem. 1, No plant doesn’t like sunshine. Every week, the plants shall be in sunshine for at least one day or one and half a day. Yes, They really need the sunshine but remember that don’t keep them in the strong sunshine for long time. So it is better to keep them in sunshine in morning or dusk. Otherwise, the leave may be injuried. 2, They also need water. The principle is that if they are not dry, we needn’t water and if they are dry, we shall water them enough. Besides that, in summer we could water not only their roots but also their leaves in order to keep them healthy. And in winter, we don’t need to water as usual as in summer for the cold water may result in leaves becoming yellow. 3, Most plants are placed indoor for long time. However, It’s not good for their growth. If our office is not ventilated, the plants tend to be frowst. So don’t forget to leave it outdoor or the ventilated place to avoid the insect pests. 4, Choose a suitable flowerpot for your plant. The plastic pot, clay pot and porcelain pot can be not bad choices. 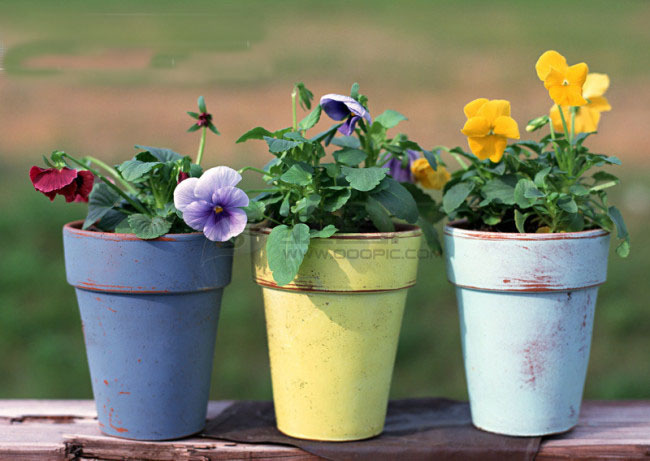 Especially, the clay pot is good at permeability which can promote plants’ growth . But if you Pay attention to the exterior, the clay pot is not your favor.